Wherever we travel two of the main things we always try to visit are 1) the local cultures baths and 2) the food markets. Budapest is a haven for both!!!!! 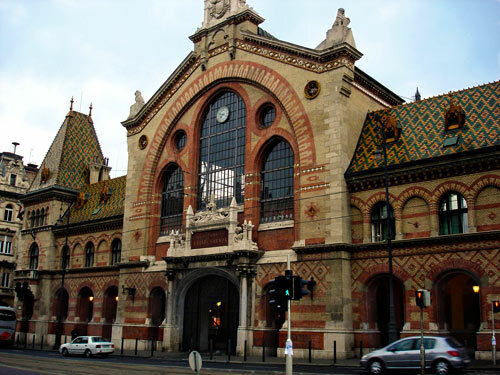 Construction of the Great Market Hall started in 1894 according to the design of Samu Petz. In 1896 a few days before the handover fire destroyed about half of the roof. After repairing the roof the market opened on 15th March 1897. The second floor of the market holds several stores of Hungarian embroidery, white peasant shirts and other artS and craft products, as well as couple places to sit, eat and watch the action on the first floor!